At the Belle Moi Wellness Center, we treat our customers to luxury treatments that improve both your health and body shape. It is more than a treatment, it is a lifestyle adopted by women for now 30 years. This technology was developed in France. This technology stimulates the skin to reactivate dormant cellular activity. Larissa is SO amazing and really takes her time working on every part of your body. She is very sweet and easy to chat with while you are getting the treatment! I cannot wait to continue my treatments and absolutely would recommend this to anyone! Thank you Larisa for helping me look and feel better! I’ve been doing Endermologie for over 20 years and Belle Moi stands out as one of the best in the business! Larisa is amazing! I immediately felt comfortable with her and you can tell that she really wants you to get the best results possible. The location is modern and clean and they have the newest LPG machine! When I began Endermologie at Belle Moi, I was more than a bit reluctant and even more than a bit suspicious of cellulite cures, but I can’t tell you how glad I am that I gave Belle Moi a chance. I have been sick for about 4 years. My illness causes lots of fatigue as well as edema, and the effects of my lack of exercise and water retention have caused a dramatic increase in cellulite on my body. As you might imagine, this upset me very much. I tried expensive cellulite supplements, wraps, and creams that did nothing more than waste my money. I decided to try Endermologie at Belle Moi as my last resort…. And, am I glad I did! My arms are smaller as are my legs and so is my waist and tummy. My skin looks much tighter and there has been a major improvement in the dimples. I can now wear a two-piece bathing suit and there is no way that would be the case without Endermologie! Not only am I happy with the results, but I look forward to my treatments as they are very relaxing. Besides that, I enjoy seeing Larisa and think of her as a dear friend. Loved my Endermologie service at Belle Moi. I am preparing for a vacation and I want to look good in a bathing suit. After 6 sessions, my husband even noticed the difference in my shape! My energy level has also increased. I am impressed with the space, modern and fresh. The owner was kind and attentive and listened to my concerns. I have been here over 5 times, and already noticed a difference in my body and skin! This is a unique process that helps improve your toning and circulation. The environment and location are very pleasant, and I always look forward to my appointments. Amazing facility and service! If you have thought about getting Endermologie and pressure therapy, definitely come here to try it out. 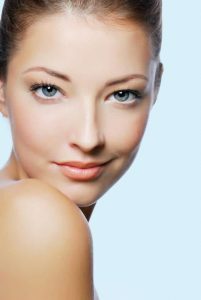 The difference in your skin is noticeable and long lasting. While it’s good to do regularly, I have only been here a couple of times and can honestly say if I lived closer I would come as often as I could! Sure, you can put various creams and lotions on your skin, but many of the factors affecting the appearance of your skin lies beneath it. $150 For 55 minutes – with our LPG trained technician, using the latest and most powerful FDA approved Endermologie machine. $50 For 40 mins – Relax while our full body pressotherapy suit massages, and increases lymphatic flow. Our LPG trained technicians work their sculpting magic on your skin to reduce the appearance of cellulite and increase lymphatic drainage. Pressotherapy is a procedure that promotes lymphatic drainage by using air pressure on different parts of the body. By alternating between compression and decompression, it effectively stimulates the lymphatic system.